Kansas City residents are not doing a good job of saving for retirement, and it’s putting a lot of people in danger of spending their retirement years very uncomfortably. However, before you start feeling accused or condemned, realize that most Americans are in the same boat. For most people, the lack of retirement savings is not primarily because you are lazy, irresponsible, or short-sighted. In a previous blog post, we looked at the ways that our society is simply not as well off as it was 40 years ago, and how this presents savings challenges, especially for millennials. It takes more hustle for us to save today than it did for our parents and grandparents. However, this does not mean that saving for retirement is any less of a priority. You’ll age just as fast, and have just the same basic needs, whether you save for retirement or not, so you might as well make yourself comfortable when you’re a senior. But in the midst of affording bills, paying off debt, and juggling all the expenses of housing, insurance, health care, and basic needs like food, gas, phone, and internet, how do you have enough to save for retirement, too? The answer is, it’s tough. But no matter how tough it is, it’s still a priority to save for retirement. Why? Not because a financial advisor told you to. The biggest reason is because you are the one it affects the most. Your retirement income advisor won’t be walking in your shoes if you retire without enough savings to cover your living expenses. You will be the one living through your retirement years, and it’ll come sooner than you think. So what should you do about it? 1. Recognize that saving money is a challenge. Find a way to do it anyway. Winning the mental game is the first step toward winning the game with your retirement savings. No matter how hard you have to fight, no matter how strong you have to be, no matter how many brick walls you have to smash through, are you in? You owe it to yourself. Your older self will thank you for hustling hard during your working years. Get your head in the game. Let’s do this. If paying bills is a struggle for you, trying to add one more “bill” (depositing into your retirement account) might be demoralizing or feel like it’s not even an option. It takes money to put money in savings. All the mental toughness in the world won’t bolster your retirement account (at least, not until it is translated into dollars and cents). Do what is available to you to increase your income now. Whether that means getting a better job, earning a raise at your current job, obtaining the education you need to switch careers into a more lucrative one, or doing a side hustle, do what you can to boost your income. Don’t see a way to earn more money this year? A way that’s basically equivalent to earning more is spending less. Either method will result in more dollars available to put towards your retirement savings. Cancel your cable service. Turn off your data plan. Eat as frugally as you can. Own one pair of shoes. Own two suits of clothes. Drive your car only when necessary. Pack every available dollar into investing in your future happiness and comfort. Depending on the data you look at, 20-25 percent of Americans have no retirement savings at all, and many of the ones who do have $5000 or less. However, $5000 is better than none. If you have some retirement money, you’ll at least have the opportunity to make choices about what to do with that money, but if you don’t have any money at all, your hands are going to be tied. What are you going to do when a financial emergency arises? Get a payday loan? Not a pretty picture. It’s hard to make good choices about what to do with your money when you don’t really understand all the financial lingo. We don’t blame you if math and numbers make your eyes glaze over, but the more you understand about things like inflation, compound interest, 401k accounts, and the stock market, the smarter you’ll be when it comes to maximizing the work your money can do for you. Want a shortcut to becoming financially literate? Take advantage of your financial advisor’s knowledge. Maybe you don’t have the time and energy to devote to studying the financial landscape. No worries. Your retirement income advisor keeps on top of all that by default. Just ask them. Annuities are insurance products that you buy with your retirement savings in exchange for a guaranteed income for the rest of your life. While annuities shouldn’t be your only strategy in a retirement portfolio, they are a great way to ensure that you’ll have a predictable amount of money coming in every month. This can help make the difference between barely subsisting on Social Security and having the money you need for the lifestyle you want. 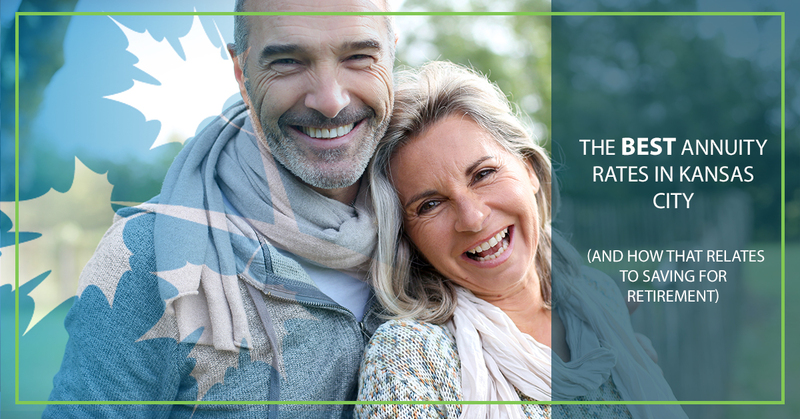 Annuities with better rates give you a higher monthly payout, so it’s natural that you want to find the best annuity rates available in Kansas City. When you talk to the folks at Income for Life, you get access to the premium annuity products that are only available to the top tier of financial advisors. Matt Nelson, our founder, grew up in Kansas and will always consider this state to be his roots. 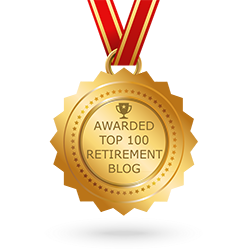 He is now one of the top 1% of retirement planners in the world, and he is here to serve you with a phone call that will get you started on the path to your maximum retirement income. 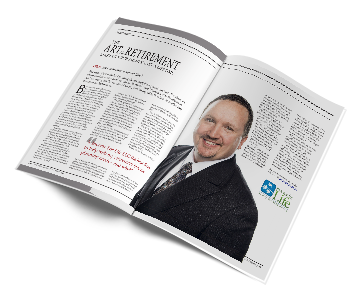 Here at Income for Life, we know that retiring is easy. STAYING retired is difficult. Open up the door to your most comfortable retirement today when you contact Income for Life. Schedule your call with Matt today.